As climate change makes itself more and more evident, the pressure of becoming an “environmentally sustainable” campus should be prioritized at universities, since they have the responsibility to be moral, environmentally and socially conscious organizations. Ryerson has committed to a “more sustainable future” and supports the Ontario Universities Committed to a Greener World Pledge as well as Talloires Declaration, both “action plans for institutions dedicated to promoting the values of sustainability and environmental literacy in teaching and practice.” However, the principles are extremely broad. The vision that this university-wide commitment seeks out to achieve includes participatory action, developing sustainable operating practices and innovation to produce exceptional results. Yet, there are no details on any of the actions taken. Currently, Ryerson’s waste stations have three collection streams (mixed paper, recyclables and waste to landfill) all around campus. There’s also organic bins located in Podium building in the Library and Service Hub. As a pilot program, the goal of the organics bin is to collect all food waste, napkins, coffee grinds and other organic materials. This is a step in the right direction for Ryerson as food waste can be easily composted with the help of participatory action—if we sort our waste properly upon disposal, there would be no contamination of incorrect items. 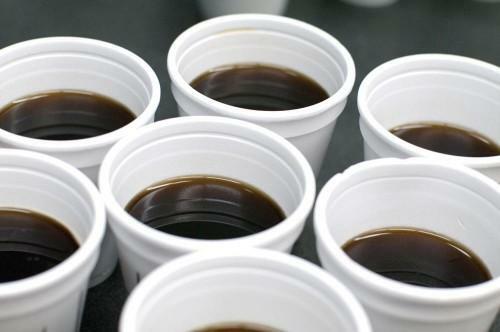 Did you know that coffee cups and other wax-coated/plastic-lined drinking cups are unable to be recycled? The remaining bins, such as the waste to landfill include the disposal of plastic cutlery, textiles, wax paper and more. Knowing that a popular item like coffee cups cannot be recycled is a major problem getting in the way of a more sustainable future for Ryerson, especially since Ryerson’s many coffee houses like Balzac’s, Starbucks and Ryerson Eats establishments rely on single-use coffee cups for their sales. Instead, every student should receive a reusable coffee mug upon enrollment to help increase participatory action in waste reduction within the University. Mixed Recycling bins welcome the disposal of aluminum cans, plastic bags, yogurt cups and other similar plastic items. However, excessive food debris and liquids do contaminate these specific bins and therefore jeopardize the recycling process. Mixed Paper bins are home to magazines, brown paper bags and newspapers, but also can easily be contaminated by food and liquids, as well. Other waste management and recycling stations within the campus include dry cell battery recycling stations in various buildings such as Kerr Hall West, the Ted Rogers School of Managament and the Engineering building. Textbook recycling opportunities can be found on the lower ground floor of the Student Campus Center. Disposal of other materials such as scrap metal, pens and other writing utensils, ink and toner cartridges as well as electronic devices require a much lengthier process and steps to correctly dispose of these items. Because of this, some members of the community may be discouraged from recycling. Ryerson could simplify the recycling/waste disposal procedures of these said items to encourage sustainable practices within the campus. 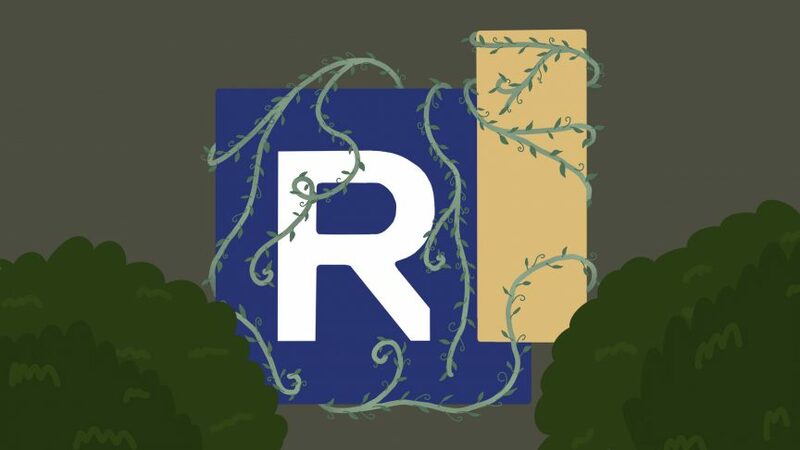 Ryerson’s attempt at a more sustainable campus is currently at a mediocre state. This is evident as with no recent news related to Ryerson’s waste management attempts, broad definitions of Ryerson’s sustainability goals, a lack of robust events centering around sustainable practices and targets, lengthy processes for recycling/disposing of more specific items such as electronics, a limited pilot program for the disposal of organic waste, and lastly a lack of policy regarding popular items sold on campus such as coffee in non-recyclable coffee cups.Perhaps, a greener future for the university requires more efforts made towards simplified recycling/ waste management policies and more diverse attempts at sustainable practices, beyond just providing recycling stations.